A country scene – The Charlestown Mill. Charlestown Township is unique among its surrounding communities. Although being located just on the outskirts of Philadelphia, it still retains the rural aspect of centuries ago. 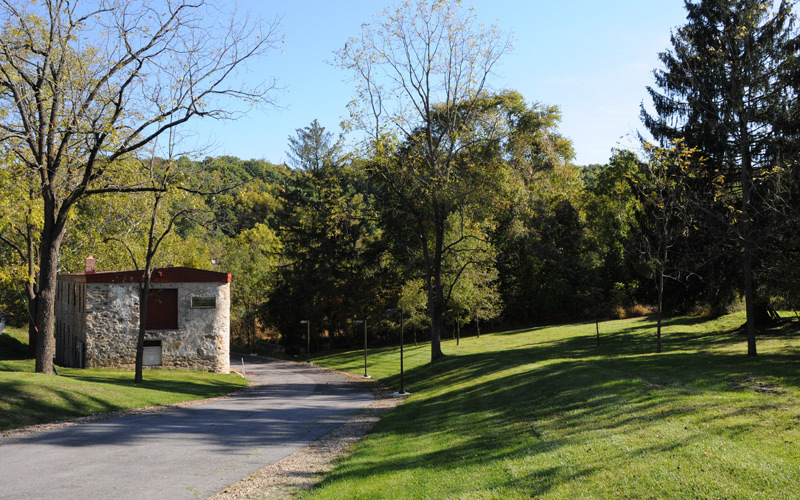 It shares much of the beauty and tranquility of its neighbor, Valley Forge. It is a study in colonial architecture and a tribute to the planning of William Penn. Development within the township has been well planned and controlled to avoid the sprawl of many of its suburban neighbors. It lies adjacent to the high-tech center of Great Valley and is close to the Schuylkill Valley. The township typifies the rolling hills of Chester County.